Burns Night falls on Saturday the 25th of January 2014 and is celebrated by Scots and all their families across the world to commemorate the scottish poet Robert burns. Born in Alloway in Scotland on the 25th of January 1759, and brought up in a poor family of farmers Robert Burns quickly developed a love of literature and poetry, which combined with his hardships growing up helped to create the poetic masterpieces that he is most famous for. Burns night can be celebrated with family at home, or you can attend a Scottish Ceilidh where they play live music, read and sing Burns poems and serve the traditional Scottish meal of Haggis, neeps and tatties. The highlights of the celebration were host’s welcome speech, Selkirk Grace, Piping to the haggis, supper, immortal memory, admiration and lots more. In all it is a great day and people actively participate in the various events that form a part of the Robert Burns Night. Over the years we have had many customers enquire about ordering flowers for burns night, and which flowers are most suitable for table arrangements. At this time there is no set flower arrangement for Burns night, however, as any Burns fan would tell you, Robert Burns often referred to flowers in his poems which can be used as fitting decorations. 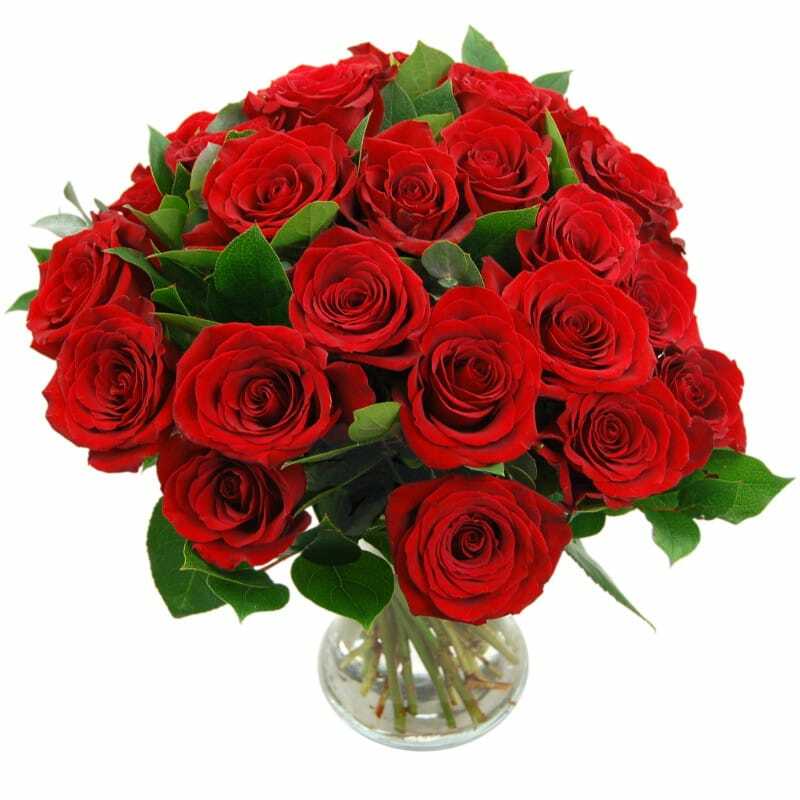 Robert Burns referred to Roses in his 1794 Poem 'Red Red Rose' "O my Luve's like a red, red rose..." With Valentines day only a couple of weeks after Burns Night, we have a great selection of beautiful Red Roses available including our 24 Red Roses bouquet, bursting with a romantic feel. This charming bouquet has 24 roses expertly arranged against a green backdrop, and will be a stunning addition to your Burns night event. You can also include a handwritten card with the flowers, perhaps for writing the Red Red Rose poem upon? Another of Robert Burns poems, whilst not as famous, is his 'To a Mountain Daisy' in which he describes the daisy as 'Thy snawie-bosom sun-ward spread'. 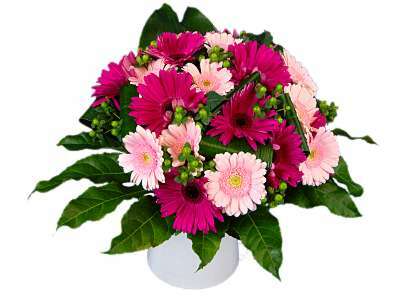 Due to the winter conditions Daisies aren't as common to find, however for a flower that has a similiar shape of the Daisy, a Gerbera would do, as its large round petal display makes it a gorgeous flower for featuring in your home. We hope you all have a great Burns Night and make sure to join in when singing Auld Lang Syne.